Tucked away in the sought after community of Sailfish Point in the heart of Stuart, Florida is this 3 BR/3BA condo. Arranged on the first floor, this expansive turn key furnished Sailfish Point masterpiece encompasses over 2600 feet of contemporary living space. A spacious gourmet kitchen is loaded with deluxe features including Bosch appliances and Sub Zero refrigerator. The luxurious Master suite showcases a wealth of enviable features including a claw foot bath tub and breath taking views of the ocean.There is an expansive terrace to relax on and take in the beautiful scenery. Travertine floors adorn the whole unit. The unit boast impact glass doors throughout. 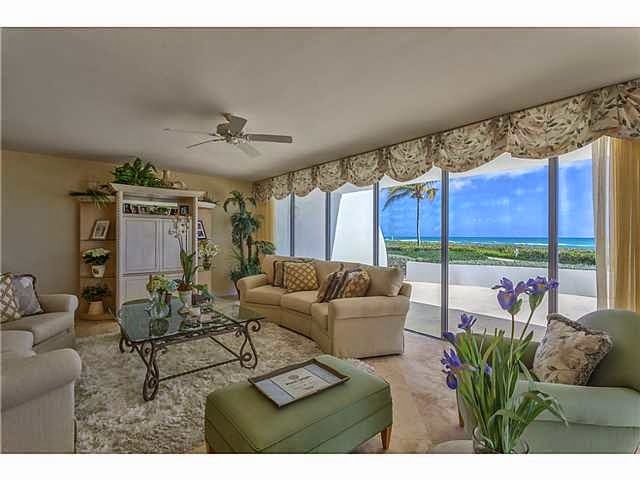 2001 Se Sailfish Point Blvd 105 is located in Stuart and is currently asking $1,375,000. This Sailfish Point listing courtesy of Berkshire Hathaway Homeservices MLS# 382005. Sailfish Point is a deluxe community located in the charming city of Stuart, Florida. Residents of this boating community enjoy several perks including a 77-slip yacht club and marina, fishing and water activities, Jack Nicklaus Signature golf, tennis, fitness, spa, personal privacy and security. The best perk of living at Sailfish Point, however, is being just a few minutes from the shopping, dining, and entertainment of historic Downtown Stuart.